Written by Tropicasa Realty on March 21st, 2019 March 21st, 2019 . The Easter holidays, known as Semana Santa, are just around the corner, falling this year from the 13th to the 28th of April. 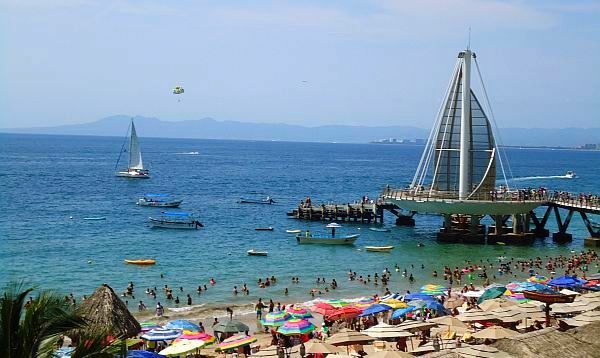 While many might think that Christmas and New Years are the most popular times for vacationing in Puerto Vallarta, Semana Santa sees our resort destination reach 100% guest occupancy with visitors from Tepic, Guadalajara, Mexico City and other parts of Mexico, as well as Canadians, North Americans and Europeans enjoying our beautiful beach town. Many people who own property in Mexico choose to rent their Puerto Vallarta condo or home as a vacation rental during this period, enjoying premium rates during this popular vacation peak, but if you will be spending Semana Santa in Vallarta as a resident, here are a few helpful tips. Schools will be closed from April 15th with students returning to classes on April 29. Banks will be closed Thursday, April 18, and Friday, April 19th, and one should expect lengthy teller lines the days prior to the long weekend. Additionally, many small businesses will be closed from April 18th to the 21st, if not longer. Costco, grocery and convenience stores get extremely busy during the two weeks of Semana Santa. It’s a great idea to get your refrigerator and cupboards stocked up early to avoid the crowds. Taxis, Uber, busses and walking are the best ways to get around during the Easter holidays in Puerto Vallarta. Traffic will be more congested than usual, and parking can be a challenge. But as busy as our town will be with happy vacationers enjoying all that Puerto Vallarta has to offer, Semana Santa is a fun time to be part of the action, particularly with a little advance preparation and planning. And we encourage everyone living in Puerto Vallarta to be a community leader and help keep our beaches clean, by not only picking up any garbage you may leave, but any you see left by someone less mindful. Click here for more Puerto Vallarta real estate and lifestyle tips from Tropicasa Realty. Based in Puerto Vallarta, Tropicasa Realty is a sustainable full service real estate agency with an extensive portfolio of properties throughout Banderas Bay.